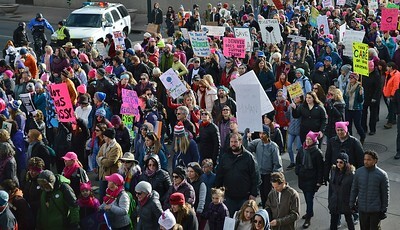 Women's March On Denver crowd seen from above. 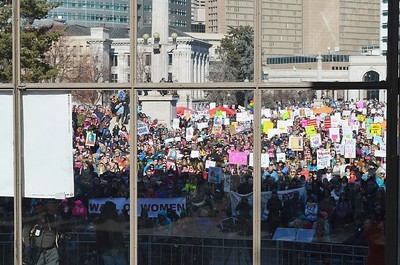 Large crowd with signs at Women's March On Denver, seen through a glass backdrop at Civic Center Park. 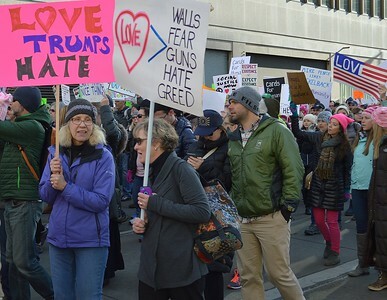 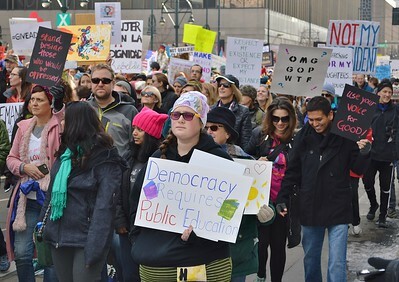 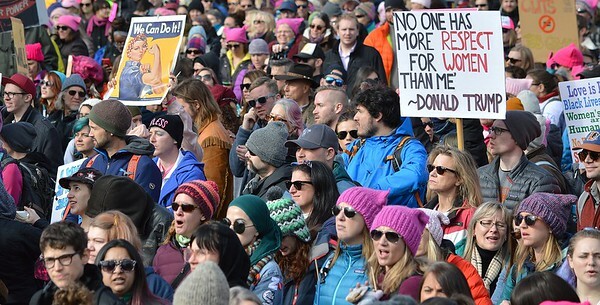 Large crowd of people with signs, listen to speakers at Women's March On Denver. 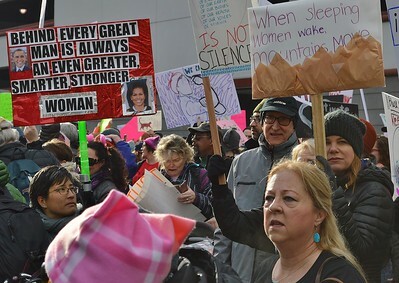 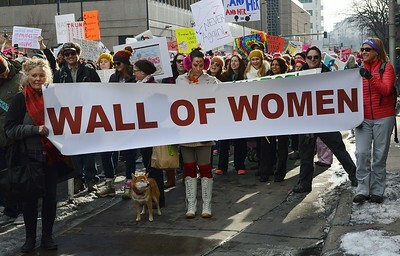 Three women holding "Wall of Women" banner during Women's March On Denver. 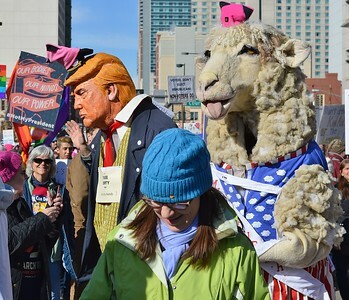 Person wearing large Donald Trump costume at Women's March On Denver. 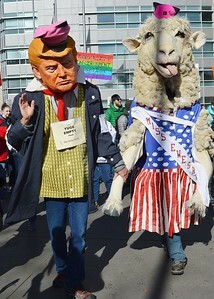 Person wearing large Donald Trump costume at Women's March On Denver holds hands with person in large sheep costume. 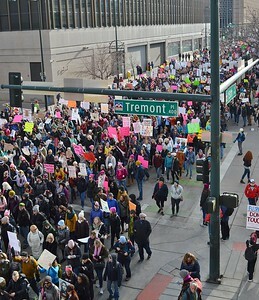 Large crowd of people carrying signs at Women's March On Denver. 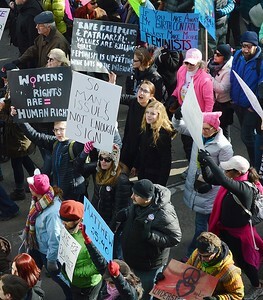 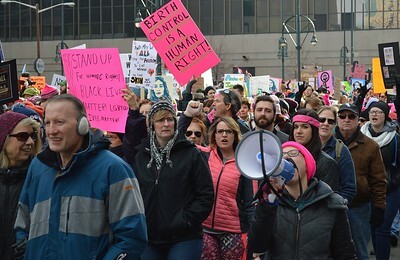 Group of protesters with signs at Women's March On Denver. 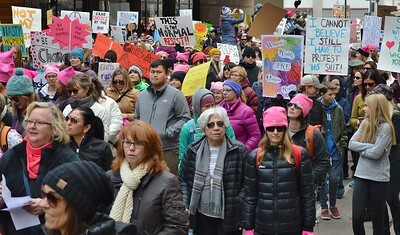 Woman with bullhorn among large group at Women's March On Denver. 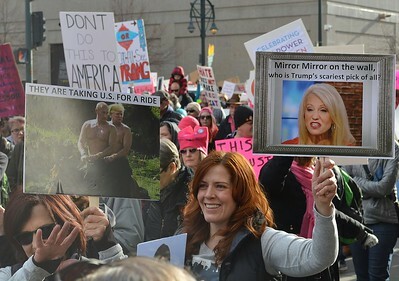 Woman holding up sign about Kellyanne Conway at Women's March On Denver. 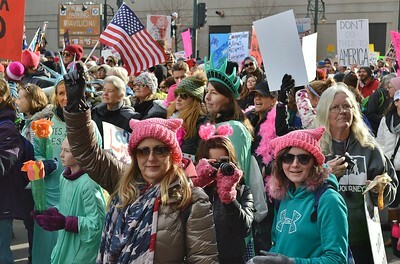 Woman carries American flag in Women's March On Denver, other wearing Statue of Liberty costumes. 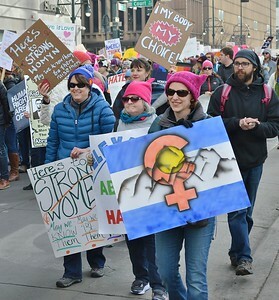 Woman carrying Colorado flag with feminism symbol on it, at Women's March On Denver. 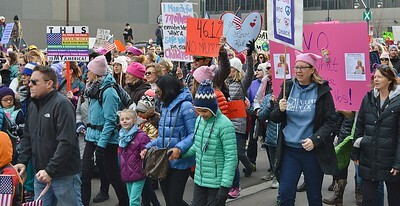 Women's March On Denver attendees chanting. 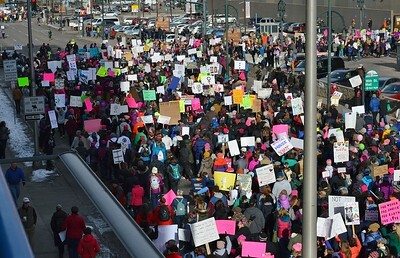 Women's March On Denver attendees with signs, seen from above. 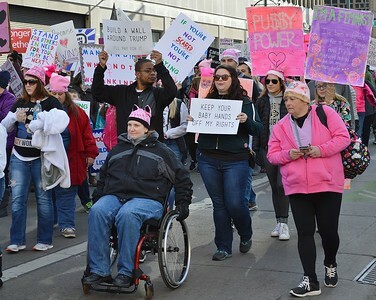 Woman in wheelchair among others with signs at Women's March On Denver. 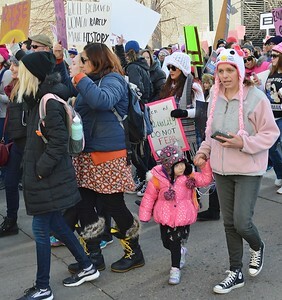 Little girl with mother at Women's March On Denver. 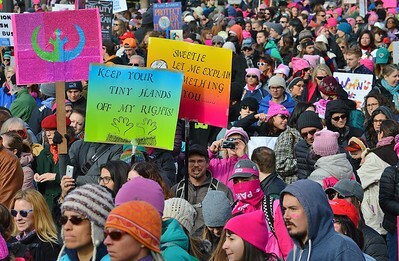 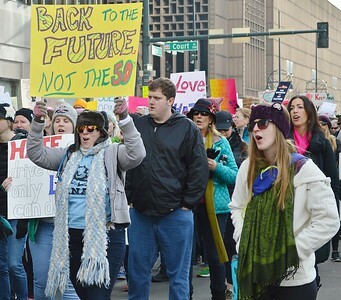 Two women talking during Women's March On Denver.